Maid in Oahu offers Professional Carpet Cleaning Services solution for every home with easy flat-rate pricing. Maid in Oahu is proud to offer professional carpet cleaning services using industry leading machines and equipment. All of our technicians are licensed, IICRC certified and insured. Each of our convenient carpet cleaning packages (excluding "Studio Apartment" package) includes the cleaning of carpeted hallway (up to 8ft long) and carpeted living room. Got an extra room? Just add it on! Got questions? Give us a call! Carpet Cleaning Disclaimer: Our standard carpet cleaning service does a great job of making most carpets look like new. However, certain tough stains may require usage of additional equipment, chemicals and more time to remove than the standard carpet cleaning service. This additional service may change the original quoted price. Once at the job site, your technician will assess the damage and quote you the additional cost. You will always have the option to accept or decline the additional charge. Maid in Oahu does not guarantee 100% removal of stains. However, we try our best and our success rate is high! Book a house cleaning in 60 seconds! Maid in Oahu is bringing house cleaning services into the 21st century by building a company we would want to do business with ourselves. We provide online booking, lightning fast customer service and a fantastic cleaning. We want to wow you with outstanding treatment. If you’re not satisfied, we’re not satisfied. If for any reason you’re not happy with your service we’ll come back out to re-clean any spots we may have missed. No questions asked.  This is to guarantee that with Maid In Oahu, you will get the cleaning that you and your home deserve.